Madison - Geraldine Ann Diemer, age 83, died on February 4, 2019 after a lengthy struggle with interstitial lung disease. Geraldine was born on January 6, 1936 in Milwaukee, WI, the first of 11 children born to Gerhardt and Viola Junghans. The family lived in Milwaukee until 1946 when they relocated to the village of Jackson, WI. Geraldine received her elementary education at Mayfield School, a one room school house, and then attended West Bend High School, graduating in 1953. In Jackson, the Junghans family attended Christ Lutheran Church. 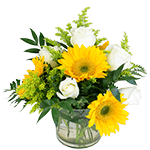 There they became acquainted with Dr. James Albrecht who cared for the large family and employed Geri during her high school years and inspired her to dedicate her life to medical care. Following her high school graduation, Geri enrolled at Marquette University in Milwaukee with the intention of becoming a doctor. Unfortunately, serious illness derailed that dream. Continuing to feel called to a medical career she enrolled in the School of Nursing at Lutheran Hospital in Milwaukee, graduating with high honors in 1961. In the fall of 1960, another phase of Geri’s life began to evolve as she accepted an invitation for a blind date with a Lutheran Seminary student, Joel Diemer. On August 19, 1962 they were united in marriage at Christ Lutheran Church. Following a brief Door County honeymoon, they moved to Los Angeles (San Gabriel) where Joel began his internship at Trinity Lutheran Church and Geri worked at Arcadia Methodist Hospital. That experience was followed by two years in Dubuque, Iowa, where Joel completed his theological training at Wartburg Seminary. In Dubuque, Geri worked at Mercy Hospital, and also gave birth to Stephen Mark, the first of four children. In the spring of 1964, Joel graduated from the Seminary and following a year of graduate study, received a pastoral call to St. John’s Lutheran Church in Madison. Three more children were born; twin daughters Karen Elisabeth and Kristen Marie and son Michael Jon. By the end of 1967 Geri was the wife and mother of a six person family. Geri discovered her gift of teaching when she was invited to teach child birth classes for expectant parents at Madison Area Technical College. She returned to school in 1974 and completed her Bachelor’s and Master’s Degrees at UW in 1981. In January of 1982, Geri began her teaching career at UW as a Clinical instructor in the School of Nursing, receiving her PhD in 1988. She enjoyed a 20-year career as a clinical professor of obstetrics and neonatal care, retiring with emerita status in 2002. Geri continued as a staff nurse at Meriter Hospital for an additional 12 years, officially retiring in 2014. As much as she loved her career, Geri also deeply loved her family, her homes, particularly the family’s home on Sunday Lake in Minocqua, and her church. Geri loved to travel; visiting all 50 states, 8 of 10 Canadian provinces, and 6 continents. Geri also loved to read, garden, watch Public television, cook for her family, feed and watch birds, play Scrabble with her daughters, and fish with her sons. She especially enjoyed two Walleye fishing trips to Eagle Lake Island lodge in Canada with son-in-law Jamie. Geri will be greatly missed by her husband of 56 years, Joel; sons Stephen (Terri), Madison, and Michael (Mary) Mequon, daughters Karen (Fred Toney) Madison, and Kristen (Jamie Hawley) Halifax, MA; granddaughters Rachel Hawley, Abbey Hawley, Tideg Toney, and Macy Diemer, and grandson Ty Michael Diemer. 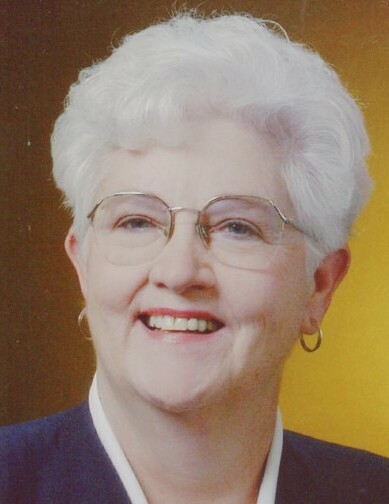 She will also be greatly missed by sisters Nancy Panzer (Herman), Kewaskum; Jackie Stumpf and Cheryl Lorenz, West Bend; Beryl Held (Michael), Huron, SD; Judy Junghans, San Francisco, CA; and brothers Lester Junghans, Kewaskum; and Douglas Junghans, Clayton, CA. Geri was preceded in death by sister Janice Bscherer and brothers Mark and Paul Junghans. She will be missed by numerous nieces and nephews. And she will be missed by Joel’s siblings, Mark Diemer, Newark, DE; Sue Michelson (Peter), Wauwatosa; and Tim Diemer (Marilyn), Elkhart, IN. Private burial services will be held at Lakeview Lutheran Church cemetery in Madison. A celebration of the gift of Geraldine’s life and God’s abundant grace will be held at 2 p.m. on Sunday February 10, 2019 at Lakeview Lutheran Church, 4001 Mandrake Road, Madison, with visitation from 1 p.m. until the time of service. We all thank God for giving Geraldine to us to know and to love in our pilgrimage here on earth. She has been a blessing to us all.